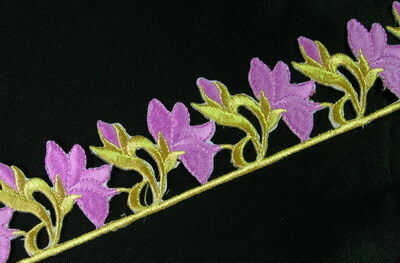 PB30 Floral Gold Lavender Thread Embroidered Patch 23"
Your privacy is very important to us. To complete your transaction we may have to collect some private information from you including your name, address, phone no., and credit card information. This information is stored in our database and used only for the purpose of completing the transaction and shipping the product to you. Angeltrim.com will NEVER give or sell your information to any party outside of our company.